Damaged or broken teeth that are beyond repair may require extraction after careful inspection by a dentist. While losing a single tooth or two may seem insignificant, missing teeth can have a huge impact on your ability to speak and may also affect eating habits, facial structure, and bite. These impacts occur gradually, over time. After a damaged tooth is extracted, the remaining teeth gradually shift in the mouth and may end up in awkward positions. The shifting is caused by loss of bone mass in the jaw location where the tooth was once anchored. People who are missing several teeth may also have noticeable facial structure changes. They may also experience difficulty eating, speaking, or notice an impaired bite. Professional dental clinics offer teeth restoration services, including dentures, dental implants, and bridges. For people who lose more than one tooth, a dental bridge can help fill in the gaps. 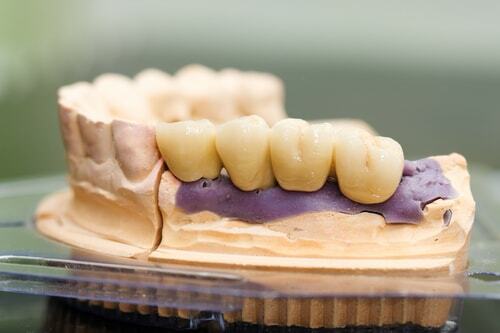 A dental bridge may be made with gold, porcelain, or a combination of materials. It is made up of two or more crowns for teeth on either side of the gap while a false tooth (or teeth) is placed in between the crowns. These bridges may be supported by remaining teeth or implants. 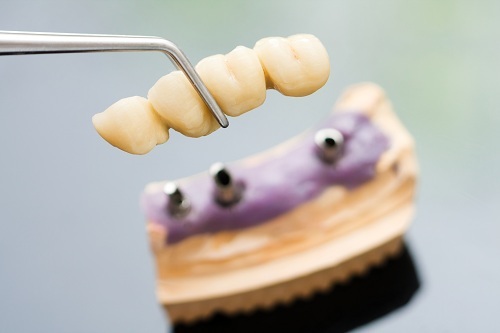 Once dental bridges are made and fitted, a number of benefits can be enjoyed immediately. One major advantage a bridge provides is an improved bite. When tooth loss occurs, eating habits may be compromised because fewer teeth remain to grind and chew food. This can affect appetite and can encourage continued teeth shifts. Once a dental bridge is fitted, gaps are filled, providing support to remaining teeth and improving the bite. Speaking then becomes less of a problem. In Etobicoke, Ontario, Dr. Mark Rhody and his caring team of professionals offer a wide variety of options to restore a smile (including dental bridges). Our clinic uses the latest equipment and procedures to provide quality oral care for all our patients. 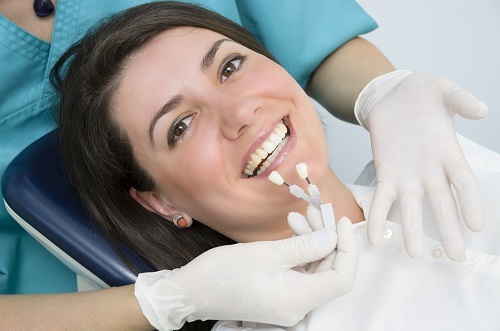 If you are anxious about any dental procedure, we offer nitrous oxide gas or sedation dentistry to help patients feel at ease. Request for an appointment today by calling us at (416) 231-4281 or fill in a form here.